Yate & Chipping Sodbury Good Afternoon Choir The Yate & Chipping Sodbury Good Afternoon Choir meet every Wednesday afternoon from 2pm - 4pm, at St Mary’s Church, Church Road, Yate, BS37 5BG. There is NO charge for attending the first rehearsal and membership forms are always available. The choir rehearsals are in 4 terms of 10 weeks and members pay per term at £3.60 per session, this covers room and piano hire, music, admin and musician fees. Yate Choral Society, Gloucestershire Yate Choral Society is a mixed choir with over 50 members which was formed over forty years ago. Geoffrey Wickham and his wife Hazel have been Musical Director and Accompanist respectively for all but the first two years of the choir’s existence. We sing a varied programme performing at various public concerts throughout the year and have raised several thousands of pounds for charity during the lifetime of the choir. Yateley Choral Society, Yateley, Hampshire A registered charity, we have currently about 50 members, drawn from this county corner where Hampshire, Surrey and Berkshire meet. We offer a warm and friendly welcome to singers of all ages and voices. There are no auditions, but under our Musical Director Quintin Beer we work hard to attain a very high standard of performance - the great masterpieces, smaller lesser-known gems, newer works, opera choruses, songs from the shows, come-and-sing events - and we include school choirs in our concerts when we can. Yeovil Chamber Choir, Yeovil, Somerset A flourishing amateur chamber choir of between 30 and 40 experienced singers from Somerset, Dorset, Wiltshire and Devon. Founded in 1993 by Antony Saunders, it has built up a reputation locally for high standards of music-making. We are an enthusiastic, friendly and hardworking team, and enjoy singing a wide variety of choral music both accompanied and a cappella, including new compositions, under our Musical Director, Helen Brind. Yeovilton Military Wives Choir, Somerset A choir consisting of military wives, Service women, mums and girlfriends formed due to the success of Gareth Malone with The Military Wives Choir. York Cantores, York, North Yorkshire A chamber choir of about 24 singers, founded in 1993. Our president is Dr Francis Jackson, and the current conductor is Aljosa Skorja. Most of our concerts (3-4 per year) are given in St Olaves Chuch, Marygate, but venues also include York Minster and the National Centre for Early Music. York Military Wives Choir, Yorkshire We meet every Thursday at the Garrison Church in Strensall and are open to any wife with a military connection from York or the surrounding area. Practise starts at 7pm, with the 1st Thursday of every month being dedicated to new members. York Musical Society, York, North Yorkshire York Musical Society is proud of its history; the current society was formed in 1876, but traces its origins back to 1767 when it first enrolled member was John Camidge, Organist of York Minster. 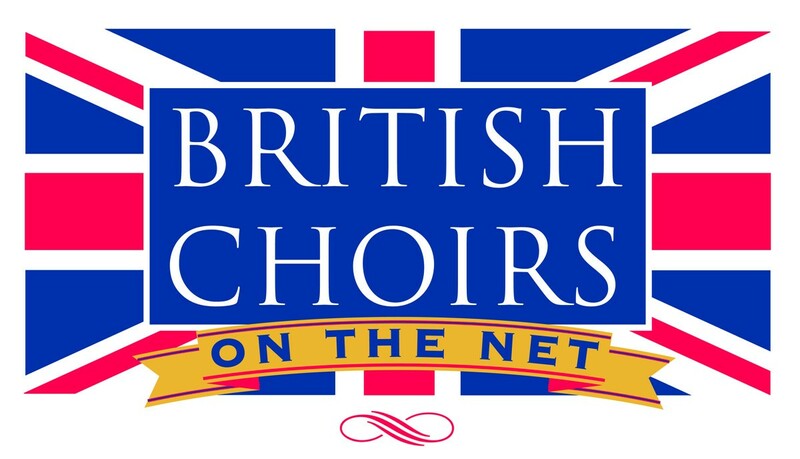 Today it is a thriving choral society of around 150 singers, performing three or four concerts a year at York Minster, York Barbican and other locations. York Philharmonic Male Voice Choir Founded in April 1925 by the late C.H Fletcher from the young men of the Leeman Road Boys Club. Currently 67 strong and performing around 30 performances including Christmas concerts at the Merchant Adventurers Hall in York. York Revelation Rock Gospel Choir Revelation is a network of christian-based rock-gospel choirs, where anyone can join, no matter their beliefs.There are no requirements for joining and there are no auditions; we have members from all levels of the university and the surrounding area. Rev is a fun an relaxed group of friends forming a choir, a band and a dance group. (Though you don't have to do all three!). Run by the choir, for the choir we welcome anyone to try their hand at conducting, singing solo, leading the dance, arranging music, playing in the band, and just about anything else! York University Choir University Choir is a chorus of around 250 voices drawn from students and staff of the University as well as the general public from the surrounding area. Rehearsals are held on Monday evenings during term and the choir usually gives three concerts in each academic year. Concert programmes are essentially from later Baroque to 20th century focusing on large scale repertoire usually with orchestra - University Orchestra or an outside professional orchestra - recently the Orchestra of Opera North, Northern Sinfonia and Yorkshire Baroque Soloists. Yorkshire Bach Choir, York Yorkshire Bach Choir has been regarded for over 30 years as one of the UK’s leading chamber choirs, specialising in performing renaissance, baroque and classical music. The mainstay of the choir’s performance is its annual series of six concerts held in the 16th century church of St Michael le Belfrey, York. In addition the choir regularly performs elsewhere in the UK and abroad participating in a variety of festivals, and has featured on both radio and television. The choir has made recordings of works ranging in period from the Spanish Renaissance of Victoria right through to the classical period, represented by Mozart’s Requiem . These and its other recordings are an enduring benchmark of its achievement. Yorkshire Philharmonic Choir, Wakefield, West Yorkshire The choir (SATB), of about 100 singers, performs mainly in the now fully refurbished Wakefield Cathedral, having sung in a range of Yorkshire Venues and abroad (Belgium, France, the Irish Republic and Northern Ireland). Generally we hold four concerts a year (including our Annual Carol Concert), but we have united with Harrogate Choral society to form the Yorkshire Voices on two occasions for a joint concert. Our repertoire covers a wide range of classical and modern choral music, which includes recently composed works. We welcome newcomers to our rehearsals (which are held weekly in Central Wakefield) and for whom there will be an audition if they wish to continue. There is a subscription fee to pay annually. Young Voices Together (formerly Stafford Performing Arts Centre Choir) is open to any child educated in Staffordshire, aged 7-13. We sing in a wide range of styles, including classical, musical theatre and pop, and perform in fantastic venues - from Lichfield Cathedral to Birmingham Symphony Hall! We rehearse 5-6pm on Wednesdays (term-time only), at Blessed William Howard Catholic High School in Stafford. No auditions are required, and you can try out your first few sessions free of charge - we'd love to see you there! Yours in Harmony, Torquay, Devon. A vivacious and friendly ladies acapella chorus based in Torquay, who enjoy singing in harmony. Ystrad Mynach Male Voice Choir Ystrad Mynach Male Choir was formed in 1964 and still extends a warm welcome to prospective members. The choir has toured extensively in Great Britain, Denmark, Germany, Cyprus, and Japan. The choir performs mainly for charitable and other non--profit making organisations and often sings at weddings. In addition, each year the choir selects a named charity or worthy cause to which a donation is made from funds raised throughout the year. We welcome invitations to sing at charity events and similar functions and are prepared to travel. Zemel Choir, London The Zemel Choir, established by Dudley Cohen in 1955, is proud of its international reputation as one of the world's finest mixed-voice Jewish choirs. Our wide-ranging repertoire embraces all the traditional Jewish cultures, Ashkenazi, Sephardi, Yiddish and Israeli. We regularly perform in major venues throughout the U.K. and overseas, and, besides singing well-known favourites, are particularly proud to present new music, often specially commissioned, from contemporary composers. Recent highlights include two performances at Westminster Abbey: a service to commemorate the liberation of Auschwitz-Birkenau (February 2015) and a ‘Service of Solemn Remembrance and Hope on the 75th Anniversary of Kristallnacht ‘(2013). In 2012 we hosted the first European Jewish Choral Festival, an event which has since taken place in Vienna and Rome, and we hosted it again in 2015. Our Celebrate with Song event, which aims to raise the profile of Jewish choral music through workshops and performances, is now in its eighth year. Its most recent installments took place in collaboration with the London Jewish Cultural Centre and West London Synagogue (2013) and London’s new Jewish cultural hub, JW3 (February 2015). Through this work we introduce Jewish music to mixed faith children and their families, which encourages the development and love of music with a religious or spiritual theme in young people. The Choir has maintained its reputation as a result of professional musical direction, and a strong commitment to rehearsals by its members. We come together not only to sing, but to be part of a warm and friendly social group. We are always happy to welcome new members. To find out more about us visit our website. Zenith Harmony, Coventry Small and friendly a capella singing group (SATB) based in Kenilworth and Coventry. New members welcome, experience not necessary. Zest Choir, Bristol The main Zest Choir is a non auditioned daytime termtime choir in your community. Adult singers are welcome whatever your experience and of all ages. We embrace the community choir spirit of singing for all and escape from the normal daytime routine of life.